I'm sorry for bringing up all my computer nightmare issues to you guys, but you're all very knowledgeable around here and I need help. 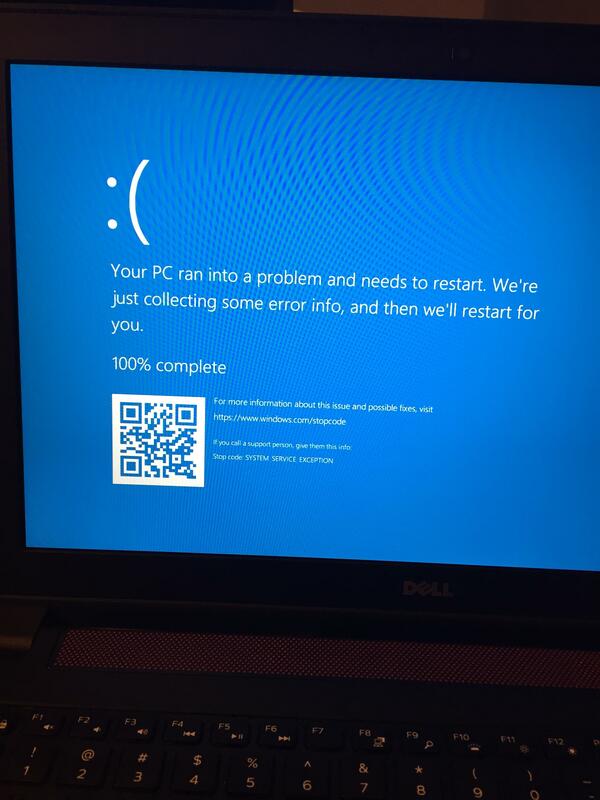 So for the past several days I've been getting blue screens--this one, in fact. It tends to happen when the computer hasn't been on for that long or not long after I open it from sleep mode. Also, when I plug it in to charge, I tend to get this message. I've been removing some things that I've installed recently, including a bunch of different revisions of Visual C++ and reinstalling only the 2015 versions of the x64 and x68, and I still have the same problems. I've gone into Device Manager and updated things like video card drivers. I also ran dskchk and let it do its thing for a few hours, and still, I get the same problems. I'm really at a loss right now. If the problem still occurs, try opening CMD again (with admin rights of course) and type "Dism /Online /Cleanup-Image /RestoreHealth". Also, when I plug it in to charge, I tend to get this message. Is it always reader_sl.exe? If so, you should be uninstalling Acrobat and/or Acrobat Reader first and foremost. It does very much seem like some data on your drive has been corrupted. Whether that's from a damaged disk or something else, I don't know. Worst case scenario you'll need a new HDD, but it's worth additional investigation first; a Windows reinstall might be enough. Uninstalling the right application might even be enough, hopefully. Thank you, you two. Really. I've gone ahead and done all of those suggestions (I don't need Adobe Reader anyway, I prefer using Chrome for PDFs) and if it keeps happening I'll do a reinstallation of Windows. The only thing about buying a new drive is that I also want to get some sort of tablet/smaller laptop to take around to my classes, because this 15" thing hurts my back, and my Early 2011 MacBook Pro isn't what it used to be (it takes two percent just to turn on). I'm trying to not spend so much money on computer stuff, but if that's what needs to happen, then it'll happen. 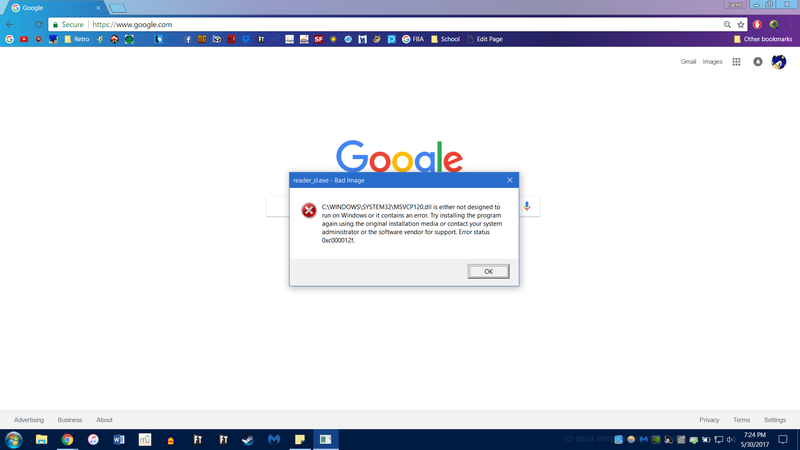 I just did another Google search, turns out you have to uninstall any existing Microsoft Visual C++ Redistributable Package and install the latest one. Be sure to install the right version though (x86 version if you have a 32 bit machine, x64 version if you have a 64 bit machine). For the blue screen issue, you'll need to check the Event Viewer to see what driver's actually crashing. Alternatively, check the memory dump (usually C:\Windows\memory.dmp) using WINDBG to see where it's failing. It should tell which service exactly had failed.